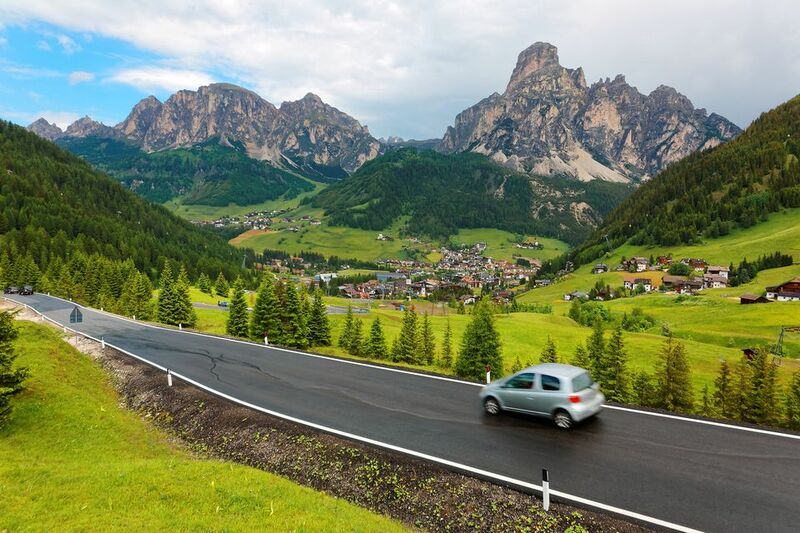 If you're going on a business or leisure trip to Italy and plan on renting or driving a car, you'll want to make sure you obtain an International Drivers Permit or International Driving License before you travel. Italian law requires drivers that don't have a European Union driving license to show their home country license as well as an International Driving Permit if (or when) they're pulled over, and your rental car company may or may not require one or even ask about one when you put down a credit card to confirm your rental car reservation in person. Ultimately, it's the traveler's responsibility to ensure he or she has the appropriate paperwork, even though you can sometimes avoid the question and process altogether if you're lucky enough to not get stopped by the police or travel agents. However, you should go ahead and get an International Driving Permit so you'll have peace of mind while driving legally during your trip to Italy. The International Driving Permit (IDP) is only valid when accompanied by a valid state driver's license but allows you to drive legally abroad without having to take additional tests or pay additional fees. There are, however, restrictions that apply to those seeking this type of permit—you must be 18 years or older and a legal resident of the United States and your permit is only valid for a year from date of issue. If all of these apply to you, an IDP can be acquired at either the American Automobile Association (AAA) or the American Automobile Touring Alliance (AATA), each which comes with its own rules and regulations governing the application process—visit their individual linked websites for more information on these rules. Keep in mind that the United States Federal Government only accepts International Driving Permits issued at either AAA or AATA, so don't fall for scammers who try to sell you fake IDPs—these can cost much more than regular IDPs and are illegal to travel with, so could get you in trouble if you're found with one of them abroad. Even if you do have an International Driving Permit, it doesn't mean you'll implicitly understand the differences between traveling in the United States and traveling abroad, especially in Italy. For this reason, you should make sure to study up on the rules of the road in this country before renting a car and driving yourself around in it. In fact, the Italian Ministry of Transportation has decided that those in possession of American driver's licenses cannot directly apply for an Italian driver's license due to the difference between these two countries' driving practices. Speeding violations and tolls are almost entirely run by automated camera systems, so you should be sure to check local rules and regulations for drivers before planning your trip to account for these additional expenses and figure out how to pay for the tickets on your rental vehicle. Check out the United States Embassy and Consulates in Italy's website for more information on these rules.